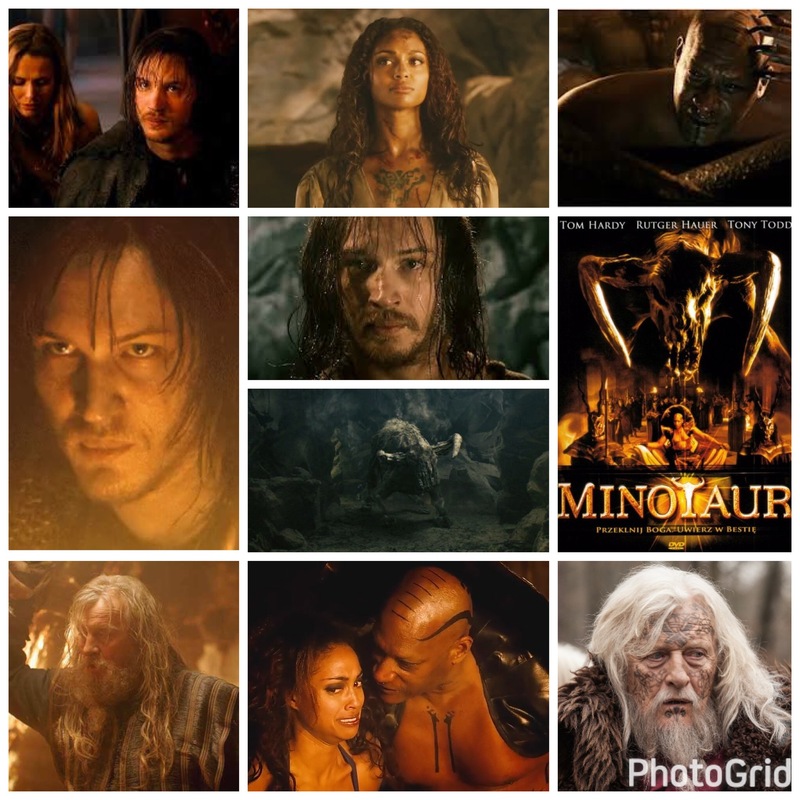 If you ever find yourself in conversation with Tom Hardy at some cocktail party (one can dream), Minotaur is the film you bring up to both flabbergast and embarrass him, if only for your own amusement. It’s one of those low budget sword & sorcery schlock-fests that the SyFy channel used to broadcast at two in the morning on sleepy Saturday nights, to serve as background noise for whatever hedonistic shenanigans are going on in the living room. It’s Tom’s first ever starring role, and therefore should never be forgotten, like those old camcorder tapes of kids learning to ride sans training wheels for the first time. The story borrows from the legend, adding its own lurid, t&a soaked flair that only SyFy can get just right. Tom plays the son of a Viking chieftain (a brief Rutger Hauer), who goes looking for his true love, one among a few of the village’s youngsters who get kidnapped every year by a freaky pseudo African tribe of weirdos who sacrifice youths to the mythical Minotaur, residing in rocky catacombs beneath their city’s surface. Led by supreme weirdo Deucalion (Candyman’s Tony Todd, hamming up every scene), who fervently wants to impregnate his own hot sister (chill, dude), and oversees this theatrical occult ritual with obscene relish. This is one of those creature features where you barely see the beast for the first two thirds of the film, save for a quick snaggle of fur or fang rushing by in the shadows, and suspiciously looking like a bearskin rug cello taped to antlers and a hobby horse. Hardy does get an eventual confrontation with the Minotaur late in the game and deep in the maze, providing a few schlocky moments that are worth the ride, but it’s silly stuff most of the time, scraping the bottom of a barrel that does lower than the maze of the bull. Totally tagging Tom in thee blog post though in hopes that he sees this and it brightens his day just a bit.